Welcome To Your Senses: Mamma Mia ! You are looking at a product that makes you drop your jaws for various reasons. DSLR with a 39 Mega pixel Sensor. Thats 5412x7212 pixels. The Worlds First 48 mm Camera. The feature that amuses me - waist-level viewfinder. Its gonna cost 35,000. Not INR makkale, USD. You do the math. Each picture occupies 110 MB on your Hard Disk ! Not much of features described anywhere on the net, but they all say it is the ultimate flexible camera ever. 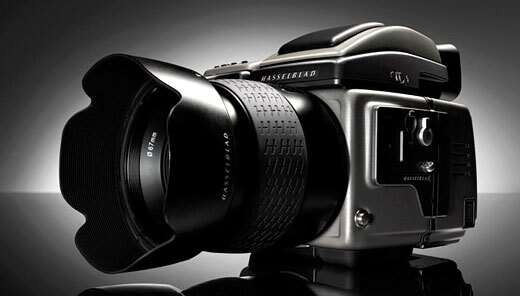 Oh The name of the company is Hasselblad.. some name I've never heard of. Looks like theirs was the first camera that made it to the moon. Here's a Wiki on Hasselblad. my jaw has dropped.. yet to climb back..